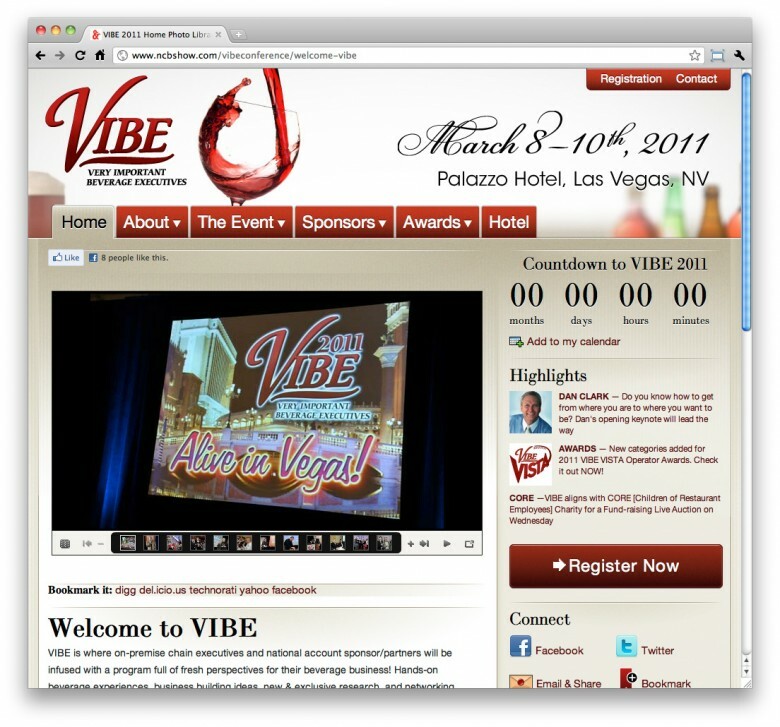 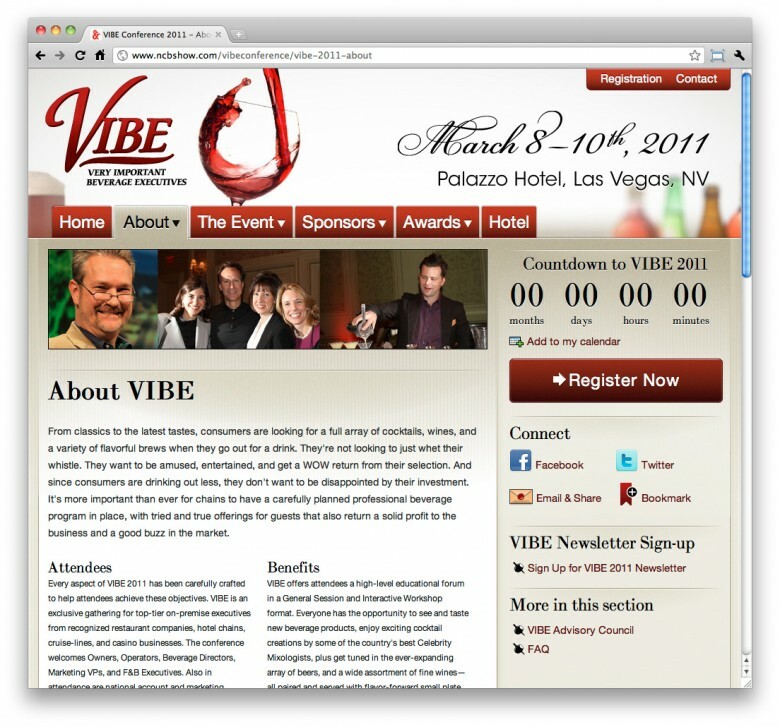 To design and build a website for the VIBE Very Important Beverage Executives beverage industry conference on a managed multi-site Drupal platform. 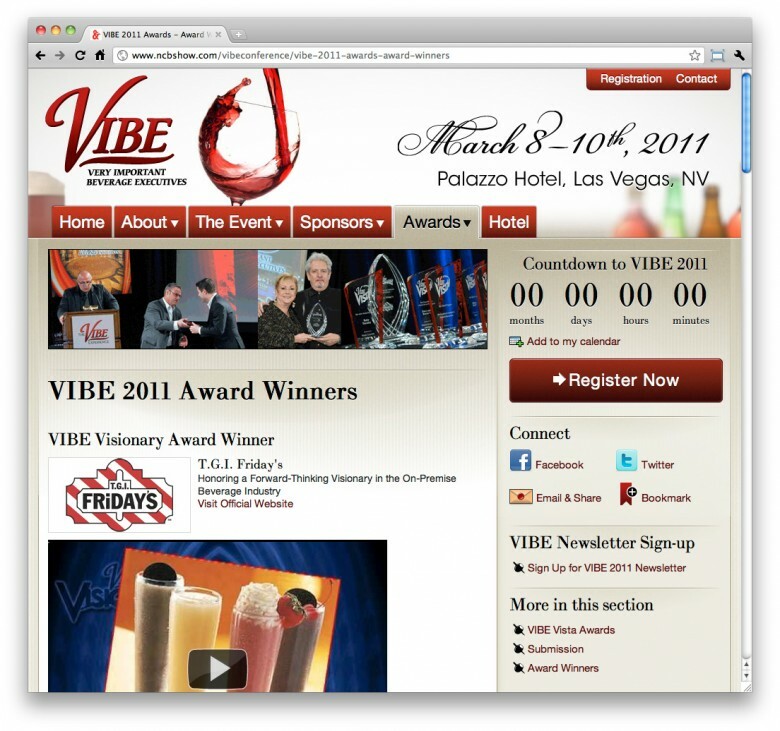 I created a design that showcases the wide variety of beverage companies represented at the conference, from wines, beers, and spirits to non-alcoholic beverages and smoothies. 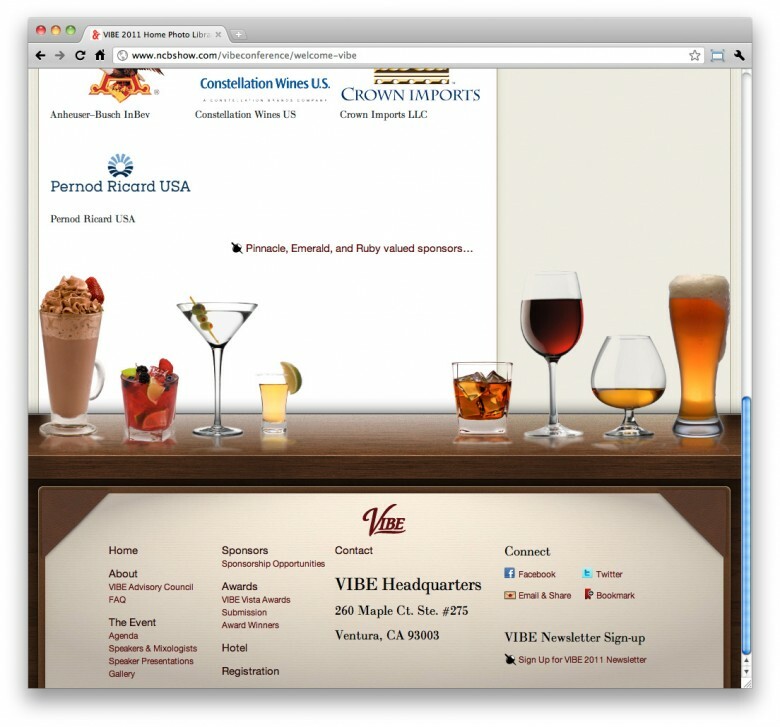 The site footer is a virtual bar with the footer links represented as a wine menu.